The Egypt international is regarded as one of the best players in the world after successful spells at Roma and with the Reds. 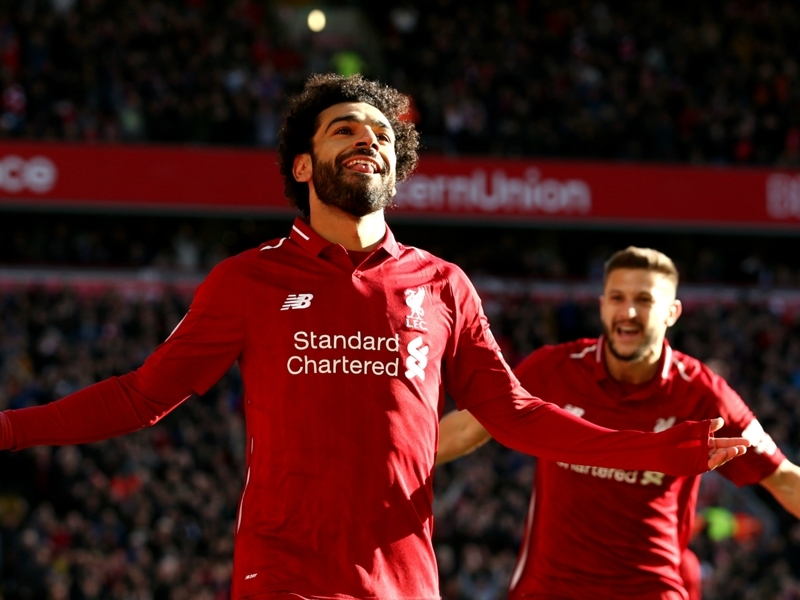 Former Barcelona striker Samuel Eto’o believes the pep talk he gave Mohamed Salah has inspired a turnaround in the Liverpool winger’s career. The 26-year-old is regarded as one of the best players in the world thanks to successful spells with Roma and at Anfield, as well as his heroic displays for his country Egypt. Salah is expected to be among the contenders to finish in the top three for the annual Ballon d’Or prize, having netted 44 goals last season and led Liverpool to the Champions League final. Eto’o and Salah played together at Chelsea for six months in 2014 and the former Cameroon international is taking credit for helping steer the winger’s career in the right direction. “I hope that Salah remembers the day we were together in Stamford Bridge dressing room after he’d had a poor performance,” he told Qatar’s Al Kass Sports Channel. “I asked him to be patient and told him ‘You are a good player and you will become a great player’. “Salah has turned into that big player and will write his own story through persistence and strong desire. Eto’o, also formally of Liverpool’s Merseyside rivals Everton, is currently seeing out the twilight of his own career with Qatar Sports Club. Though’s Salah has significantly improved since his spell at Stamford Bridge, he is enduring a lean start to the 2018-19 campaign. He has netted seven goals in 16 appearances in all competitions but has failed to hit the heights of last season, with a succession of missed chances leading former Arsenal defender Martin Keown to conclude that Salah is out of sorts. “I look at Salah, and he doesn’t look the real deal for me,” he told BT Sport. Check this out Mario Balotelli transfer news: What the hell is going on with Super Mario this summer? “When you really look at him, he was really quiet today. Something is wrong.